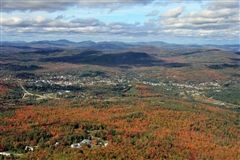 Our 250-acre campus is set in the beautiful White Mountains of New Hampshire. 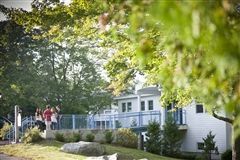 We are just over two hours from Boston, in an area that has historically attracted tourists and outdoor enthusiasts. 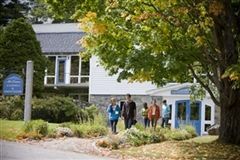 The White Mountain School campus includes the brand new Catherine Houghton Arts Center, the Fred Steele Science Center, an impressive fitness center with a 3,000 square foot climbing wall, a “black box” theater, four dormitories, a small farm, and the hub of campus: the McLane building. 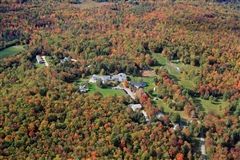 The White Mountain School is located in the beautiful White Mountains of New Hampshire, a long-time vacation destination for outdoor enthusiasts. 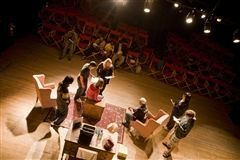 The WMS Theater is home to theatrical productions including student-written and directed plays. The Catherine Houghton Arts Center (CHAC) opened in January, 2014. It houses our dance, music, and visual arts studios, along with recording studios and an outdoor amphitheater. The bulding is designed to have net-zero energy use through a geothermal heating and cooling system and a rooftop solar array. 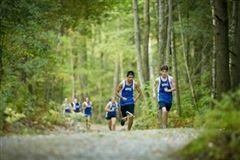 Our campus includes trails for hiking, mountain biking, and running, a swimming hole, and Hood's Hill-- the perfect place for sledding. We gather here in Lovejoy Chapel for morning meetings, presentaions, community events and performances. McLane Building is the heart of campus. Here you will find new classroom space, McGoldrick Library & Research Center, the Dining Hall, the student lounge, and the administrative offices. 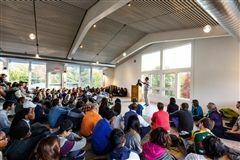 The White Mountain School's fitness center includes a basketball court, weight training machines, and a 3,000 sq. 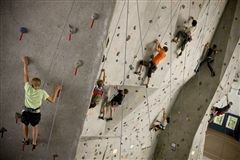 ft. climbing wall. 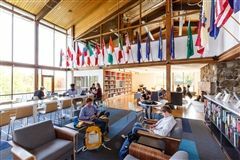 An open, airy and vibrant learning commons with space for research, independent study and small group discussion that supports our academic focus on student-drive inquiry. Our farm includes fruit trees, raspberry and blueberry bushes, vegetables upon vegetables, and a chicken coop! 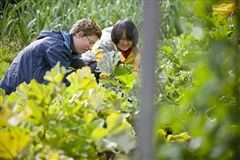 Students in our Farm and Forest afterschool program help take care of the farm and harvest produce for our community. The Fred Steele Science Building (2006) was designed as a net-zero energy use facility. 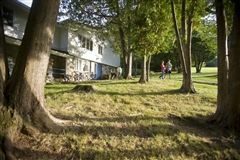 It is outfitted with four well-equipped classroom laboratories, science faculty offices, a solar energy system, and composting toilets. While we hope these photos have helped you get a clearer sense for our campus, the best way to get a sense for our school is to visit. We hope we’ll see you on campus soon! For more information on scheduling your visit, click here.